The Setting—Papua New Guinea (PNG) is a poor, tropical, mountainous nation where over 200 language groups still have yet to hear about God's grace and peace. Without a single word of Scripture in their heart language, they live in darkness. The Crisis—Deep in the jungles of PNG there is a constant struggle between the light and spiritual darkness. It's a reality that people in this part of the world are familiar with intimately. The Need—Entire villages have been trapped by sorcery, witchcraft, and violence for generations. Without Scripture in their heart language, these hurting, remote villagers remain in utter spiritual darkness and hopelessness. God’s Word is their only hope. The Opportunity—All of the people in PNG need to know the Good News of Jesus Christ. God has opened the door for Wycliffe Associates to help launch new Bible translation projects in all of the remaining languages in Papua New Guinea. We need your help today. Giving a man, woman, or child the Scriptures in their own language is like giving them their very breath. They inhale it. They take it into their entire being like their life depends on it. Their eternity depends on it! The Cost—Wycliffe Associates can only begin this huge undertaking if God's people will give generously. Whatever the Lord speaks to your heart to give, please respond as quickly as possible. Because translation teams are ready, and millions in PNG need to experience God's Word in the language of their heart. Please prayerfully give as generously as you can. Today. 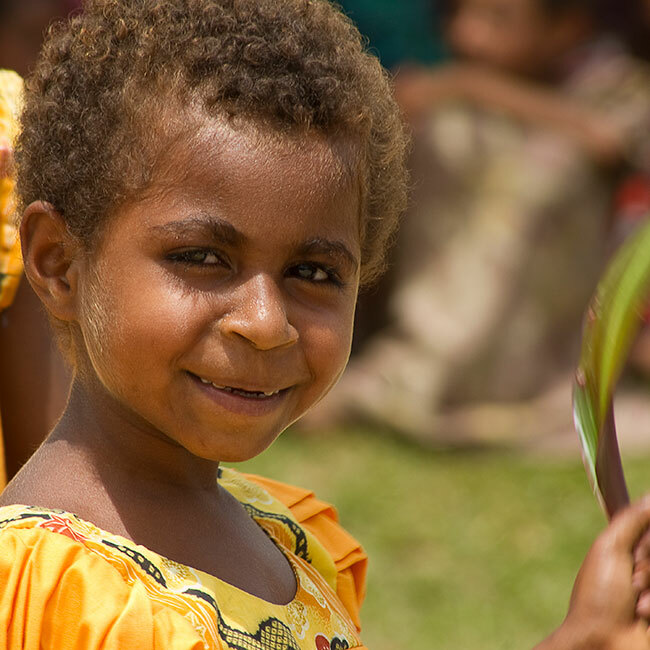 All of the people of Papua New Guinea need to know the Good News of Jesus Christ. Today you can help launch this huge Bible translation effort. Your action will impact eternity.